Please note that the games from the WCPL Round 5 can now be downloaded from the Games page. Anyone interested in entering a team in the 2017-18 season should contact Kevin Staveley (kevin.staveley@btinternet.com) before the end of June. At the Frome Congress, held on 12-14 May, first place in the open section was shared by this year’s winner of the Welsh Championships, Alan Peasants, Welsh international Jane Richmond, and the English player Scott Crockart. The 2017 Welsh Correspondence Chess Championships is to be restarted after a break of eighteen years. 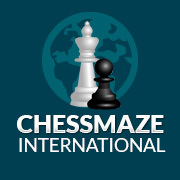 Entry is open to all Welsh chess players and free for this season. This is a terrific oppurtunity to experience Correspondence Chess (which is played online) for anyone who has not experienced this activity previously. The April ECU Newsletter can be downloaded here. The 2017 Welsh Blitz Championship will be taking place at Merthyr on Saturday 17th June. The Entry Form can be downloaded here.